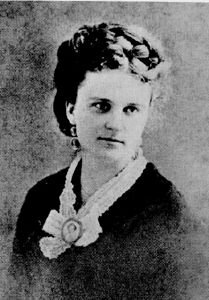 Kate Chopin (; born '''Katherine O'Flaherty'''; February 8, 1850 – August 22, 1904) was an American author of short stories and novels based in Louisiana. She is now considered by some scholars to have been a forerunner of American 20th-century feminist authors of Southern or Catholic background, such as Zelda Fitzgerald. Of maternal French and paternal Irish descent, Chopin was born in St. Louis, Missouri. She married and moved with her husband to New Orleans. They later lived in the country in Cloutierville, Louisiana. From 1892 to 1895, Chopin wrote short stories for both children and adults that were published in such national magazines as ''Atlantic Monthly'', ''Vogue'', ''The Century Magazine'', and ''The Youth's Companion.'' Her stories aroused controversy because of her subjects and her approach; they were condemned as immoral by some critics. Chopin also wrote two novels: ''At Fault'' (1890) and ''The Awakening'' (1899), which are set in New Orleans and Grand Isle, respectively. The characters in her stories are usually residents of Louisiana. Many of her works are set in Natchitoches in north central Louisiana, a region where she lived.